We live in the Rocky Mountains—I hike, climb and ski mountains. Mountains are a big part of my life. 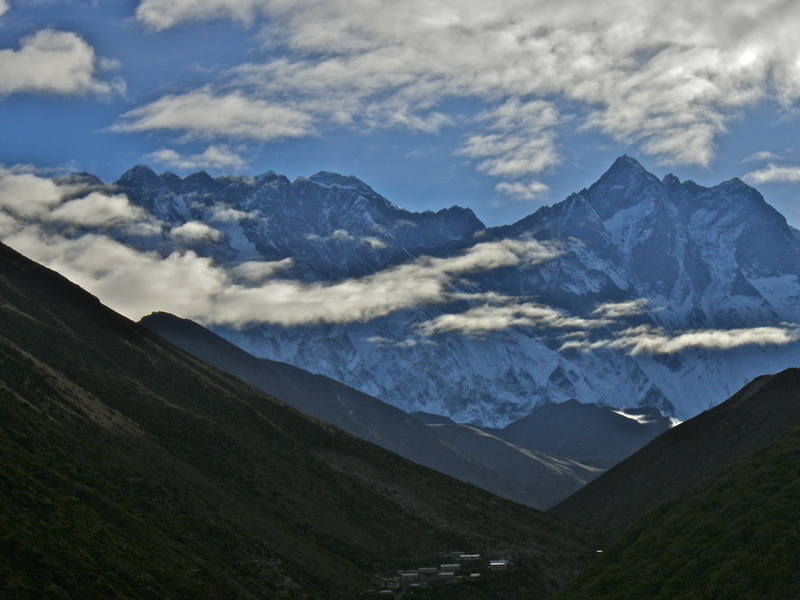 The mountains of the Khumbu are what drew me to Nepal in the first place, but I wasn’t sure I’d see them during my trip. The course started at the beginning of the monsoon season. 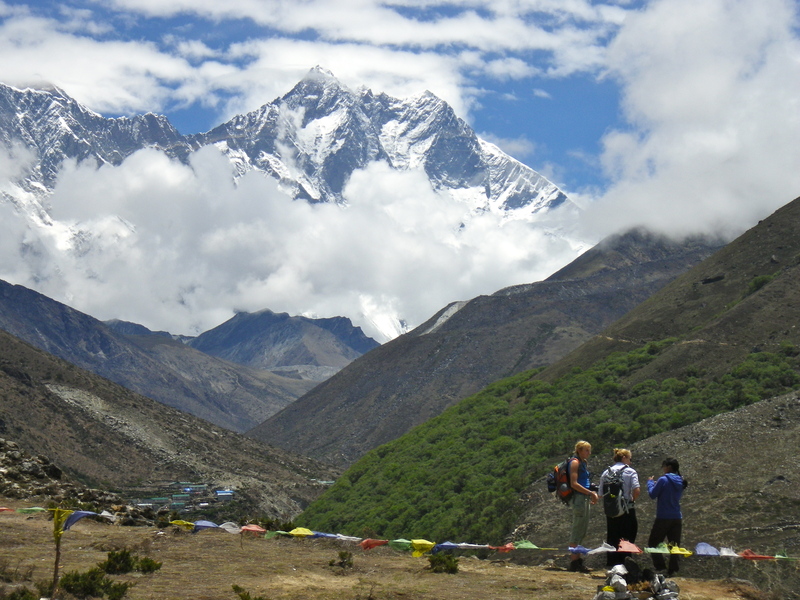 The landscape of the Khumbu is magical and beautiful without the mountains, but I would have been disappointed if I hadn’t seen them. After flying to Lukla and hiking to Phakding we stayed for two days before traveling to Namche Bazaar. We traveled along a trail high above the Dudh Koshi (Koshi means river). The landscape along the way was misty and magical, but no mountains. Things began to change in Namche. I woke up about 5:00 AM the day after we arrived to see the snow capped peaks for the first time. They were far above where I expected to see them. 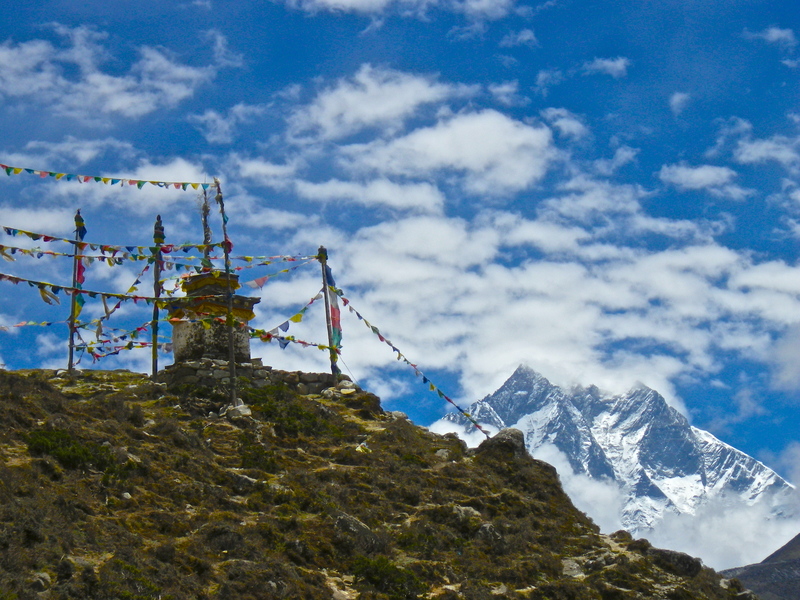 Namche is at 11,300 ft, but the mountains rise to about 22,000 ft—almost 11,000 feet higher. The two peaks dominating the eastern horizon are Kantega and Thamserku. 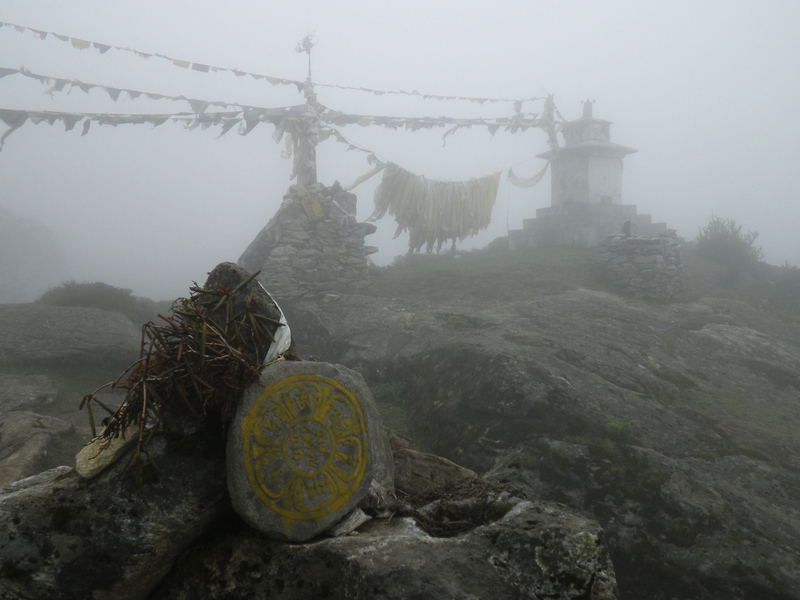 After acclimatizing for two nights in Namche we headed up the Imja Khola valley through Tengboche. We visited the monastery and had an audience with the Tengboche Rimpoche, but that is a story for another time. 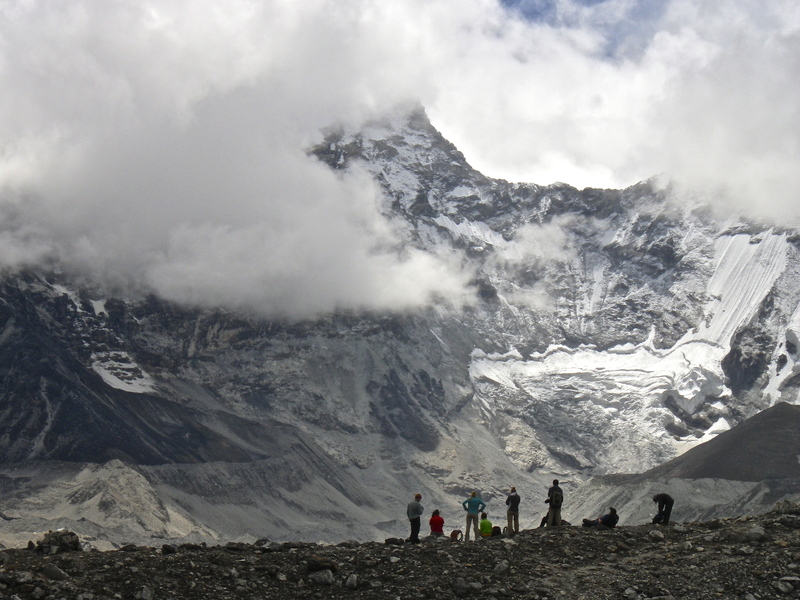 After a few days we ended up in Pangboche at about 13,000 ft. This is where we got our first views of the big mountains! That afternoon the clouds closed in again. This was a typical pattern for most of the rest of the course. Beautiful clear mornings with clouds, fog, and rain in the afternoon. 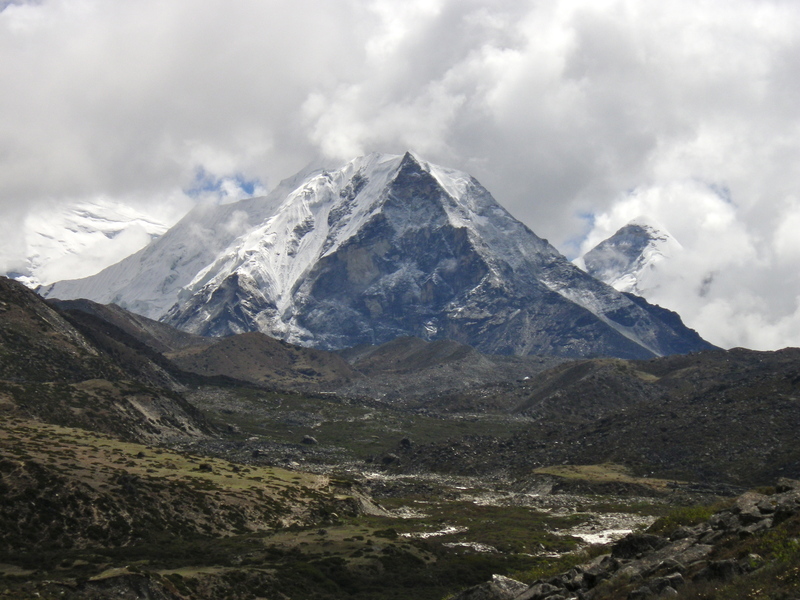 From Pangboche we hiked about 7 miles to Dingboche at 14,500 ft—higher than most 14ers in Colorado. 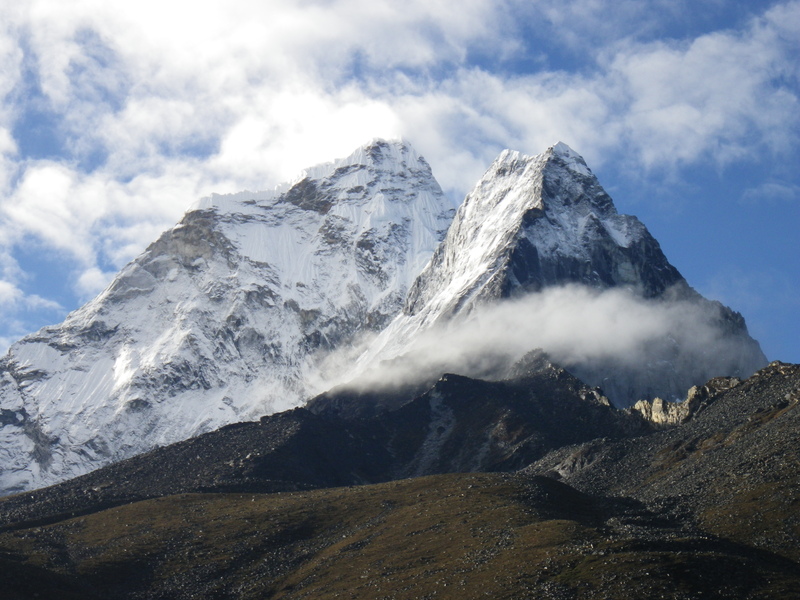 The next morning we again woke to clear skies and fantastic views of Ama Dablam (mothers jewel-box). I’ve always thought this was one of the most beautiful mountains in the world. Another four mile hike took us up to Chhukung (15,500 ft) where we spent one night. 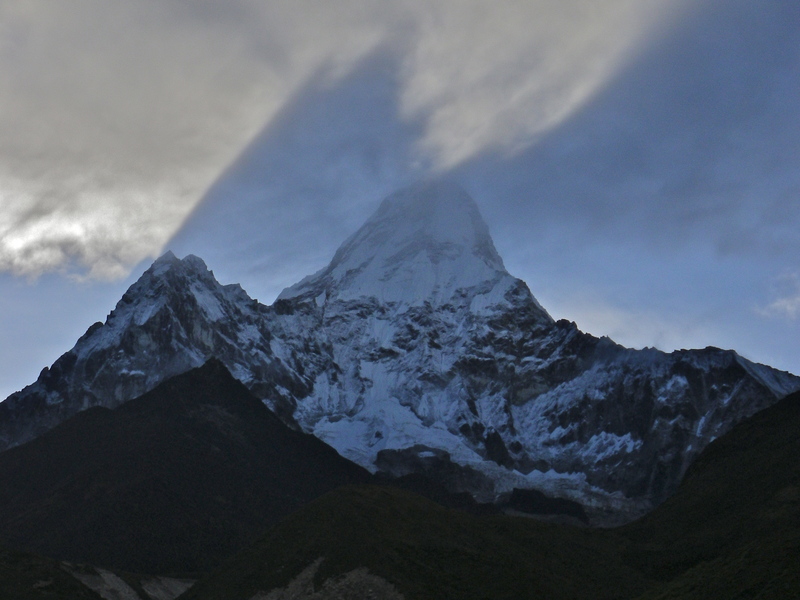 Chhukung is very near Island Peak. Island peak is a popular climbing destination even though it is only 20,300 ft. Lhotse’s summit is only about a mile from Island peak, but towers over it at about 28,000 ft. Our destination was Imja Tsho or Island Lake. The lake used to be a small melt pond on a glacier, but now it’s over two km long and more than a half km wide. The lake is dammed by what used to be the terminal moraine of the Imja Glacier. It’s now considered one of the most dangerous lakes in the Khumbu because of its potential to produce a glacial lake outburst flood (GLOF). One of the goals of our course was to investigate environmental impacts so this was a natural choice for a place to visit. 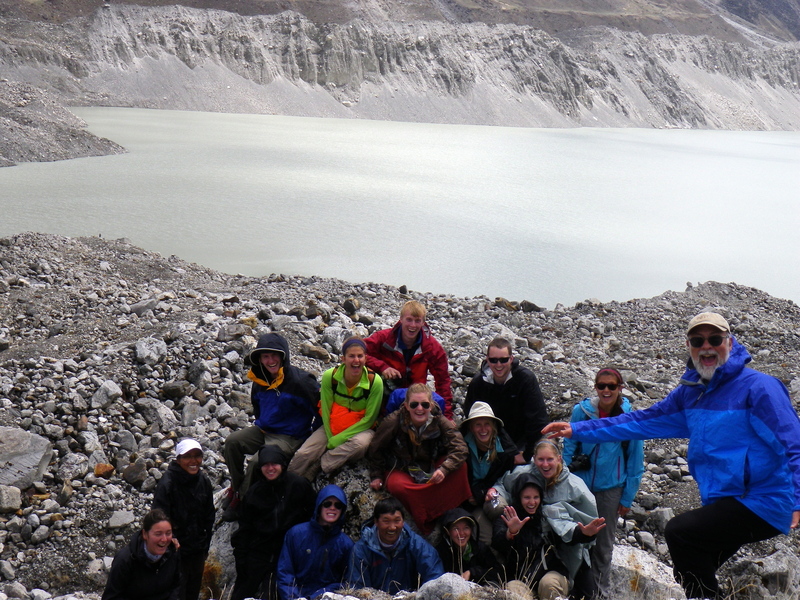 We reached our high point for the trip at about 17,000 ft on the moraine above the lake. This entry was posted on August 4, 2012 by shane.